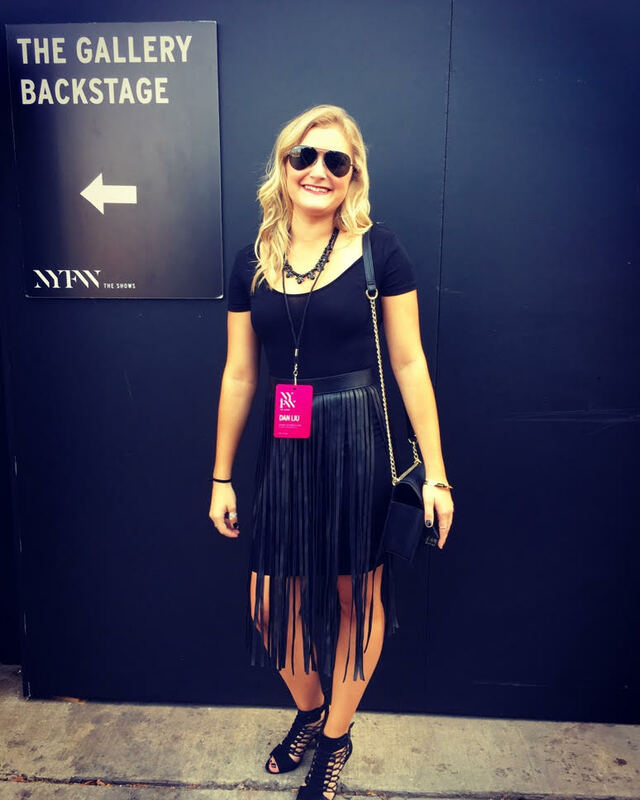 Learn About a Student's Work Behind the Scenes at New York Fashion Week | Grand Central Magazine | Your Campus. Your Story. New York Fashion Week is one of the most cherished weeks in fashion, and having a chance to work at the large-scale event is a dream for many designers and models. 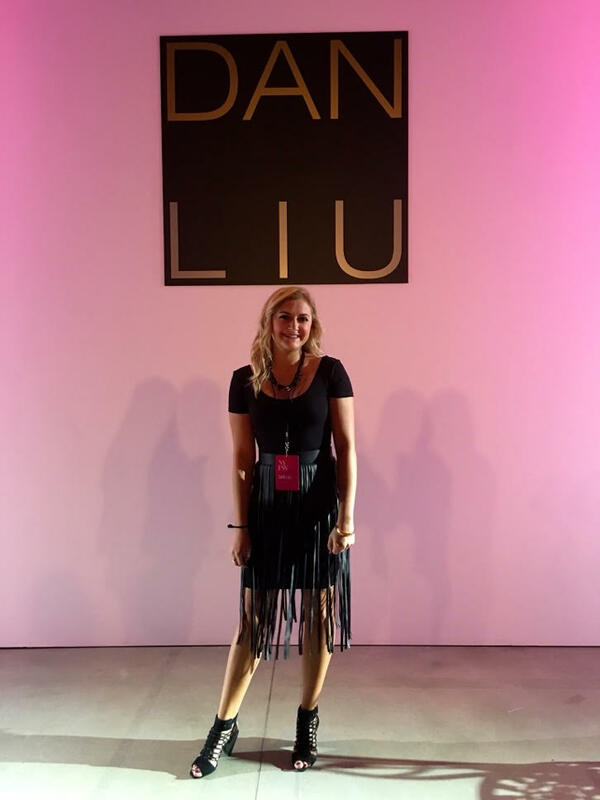 Central Michigan University student Amanda Snyder had the chance of the lifetime to go backstage and work NYFW for designer Dan Liu. 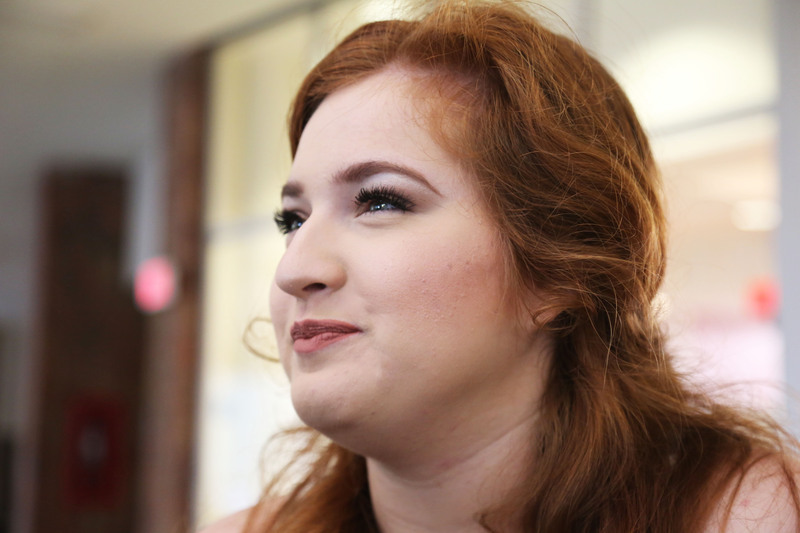 We sat down with the senior to chat about her experience. Grand Central: How did you get to work for NYFW? 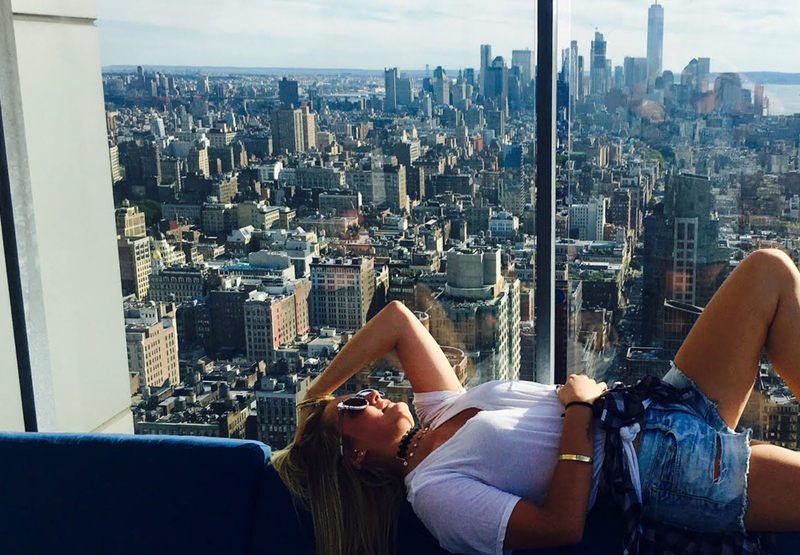 Amanda Snyder: Getting to work for NYFW came totally out of the blue for me. A friend that I had met through my internship at Nordstrom over the summer actually attends FIT in New York for school. As I got to know her throughout the summer, she mentioned to me that she’s gotten to work several fashion weeks in the past through connections she’s made at her school. I was instantly interested in learning more, and she hooked me and my other friends up with a contact of hers. My friends and I booked a flight to New York in late August, not even knowing for sure if we would get to attend fashion week. 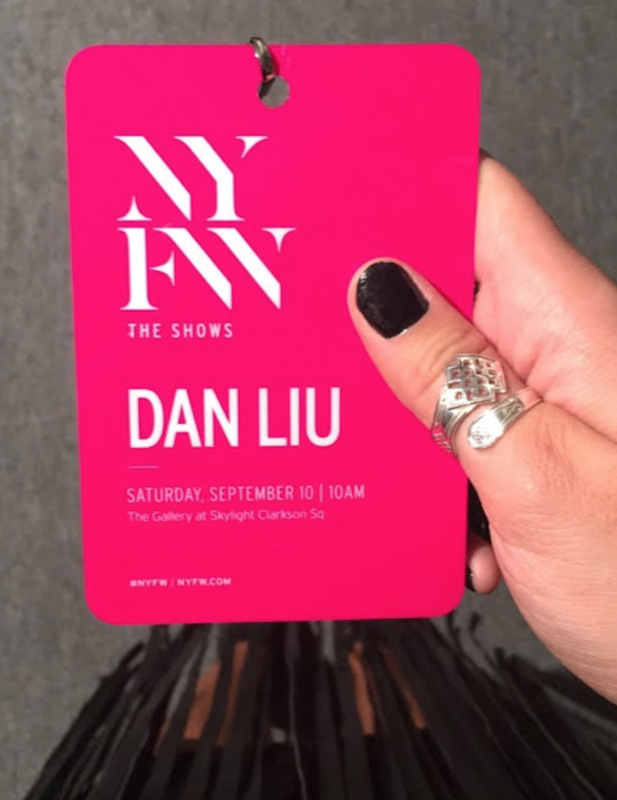 A week before our trip, we finally received word that we would get to work a show for designer Dan Liu. I was immediately filled with so many emotions and couldn’t even believe that one of my biggest dreams was coming true. I can’t stress enough how networking and pushing for what I want made one of my biggest dreams come to life. GC: What did you do for the show? AS: After arriving to The Gallery at Skylight Clarkston Square (the venue for the show) my friends and I were immediately thrown into the chaos that is Fashion Week. We were all separated as we pretty much had to take initiative to help out. It was so crazy backstage that I didn’t have time to sit around and wait to be told what to do. I helped out in several aspects for the show. 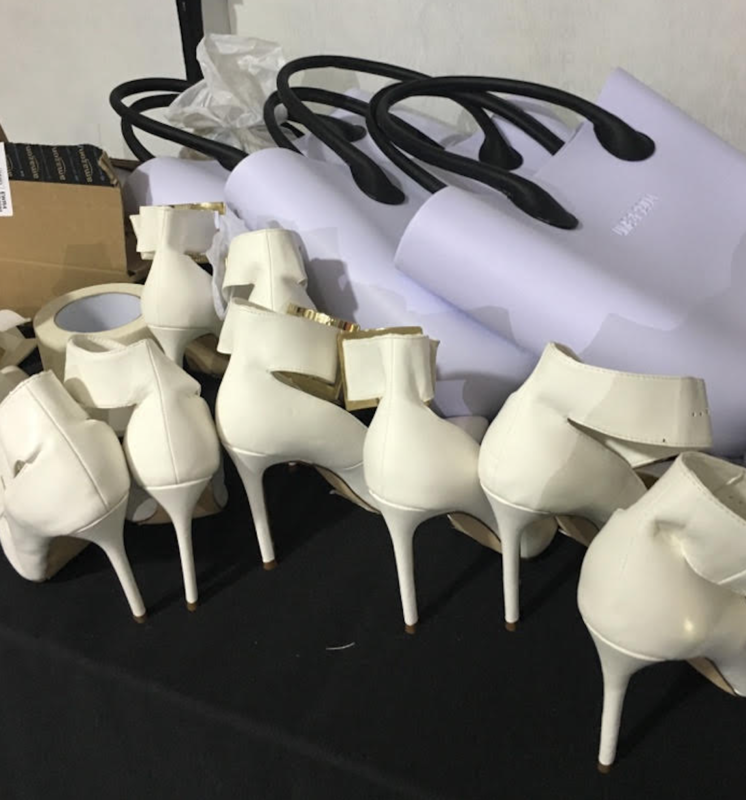 I helped prepare the VIP bracelets for the front row guests, put shoes and accessories to their matching model [and] most importantly, I landed a job as a model dresser. I was the dresser for two models, both of whom who had quick changes throughout the show. GC: What was the show’s overall look or aesthetic? AS: I was in love with the show’s overall aesthetic, as his collection titled “New Path” consisted of floral elements and wearable cocktail dresses. Dan Liu is such a down-to-earth designer who clearly put his thought into making every aspect of the show memorable. 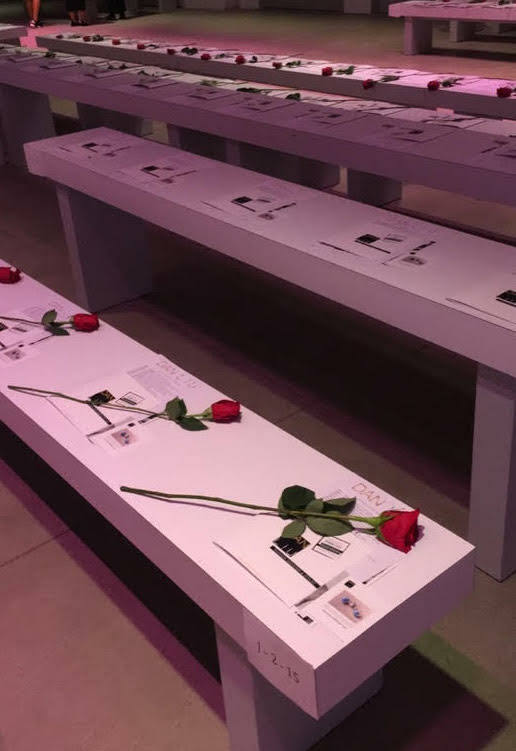 He had a beautiful rose laid out at each seat in the venue, as well as a table with flowers at the opening of the runway. This was the first show I had ever seen that incorporated an opening skit, as my model, the show opener, sat at the table with a flower in hand, taking in the sights and sounds of the audience before walking down the runway. GC: What made your trip memorable? AS: I think what made my trip so memorable was just the fact that I was finally seeing parts of my life fall into place. I had never even been to New York before this, and to make my first time visit during fashion week was an absolute dream. I was getting emotional while texting my parents throughout my trip because I couldn’t ever have imagined that I would get to experience something as big as NYFW. I kept wanting to pinch myself during the whole experience. GC: How do you think this has helped you prepared for your future? AS: I will never ever forget my time and experience in New York. [Adding this] to my resume will help me tremendously I think. I’m not sure where exactly in the fashion industry I will end up, come graduation, but I do know that this experience allowed me to meet some great connections that I will definitely be turning to in the future. GC: Did you work any other shows or meet any models? AS: Dan Liu was the only show that I worked. I enjoyed being backstage with the models and networking with them. It was so cool to hear where they all were from. I gained a lot of Instagram followers that day. One exciting thing that happened after the show was my moment of realization that Caila from “The Bachelor” and “Bachelor in Paradise” was there. I ran to meet her. I was fan-girling pretty hard. GC: Do you see yourself working for NYFW again? AS: Yes, I do! I will definitely be in contact with the fashion show producer come spring, as he invited me back while I was busy backstage (*screaming*). I can’t wait to go back and do it all over again! Separator image Posted in Student Styles, Style, Style & Beauty, Women's Style and tagged with Amanda Snyder, behind the scenes, dan liu, Devon Rademacher, new york fashion week, NYFW.